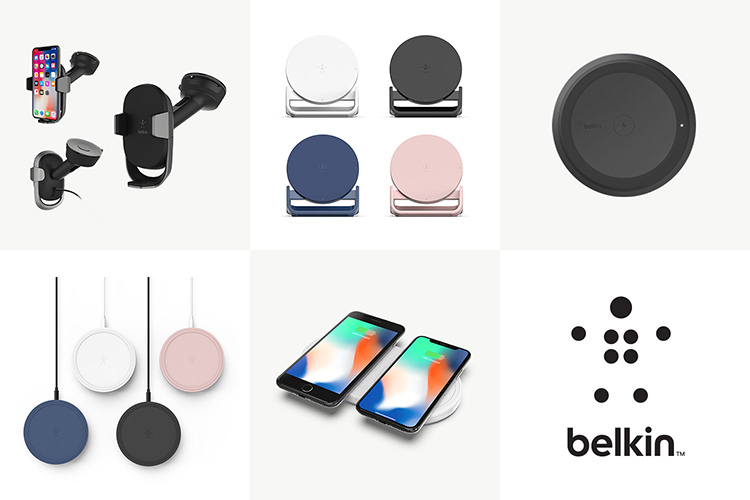 In the days leading up to the Consumer Electronics Show (CES) 2018, American consumer electronics manufacturer Belkin has unveiled its new lineup of mobile charging accessories, headlined by four new Qi wireless chargers. Boost Up Bold Wireless Charging Pad– An updated version of Belkin’s existing Boost Up wireless charger, just a bit smaller in size and with more color options to choose from. Boost Up Wireless Charging Stand– Essentially just a Boost Up Bold with a stand which can easily support a device in both portrait and landscape orientations. Boost Up Wireless Charging Car Mount– As the name suggests, its a wireless charging car mount which can either be placed on the dash or stuck on a window. Boost Up Dual Wireless Charging Pad– A wider version of the Boost Up Bold which can charge two devices simultaneously. All the aforementioned wireless chargers include a universal wireless charging pad which supports Apple, Samsung and other Qi-enabled devices. The wireless chargers are designed to deliver 10W of output charge which enables faster wireless charging when compared with traditional wireless chargers. The new range of wireless chargers are expected to hit the market sometime in the summer. Belkin has also revealed a couple of fast charging wall chargers, including the USB-C Home Charger 27W and the Dual Port Home Charger 39W+ USB-C to USB-A Cable. Both the chargers support the USB-C Power Delivery (PD) protocol, which allows the charger to detect the connected device and deliver the exact power it requires for fast charging. Lastly, the company has also revealed a new power bank called Pocket Power USB-C 10K, which comes with a 10,000mAh battery and is capable of charging devices with Qualcomm Quick Charge 3.0 support up to 80 percent in just 35 minutes. The power bank is expected to hit the shelves by spring 2018. 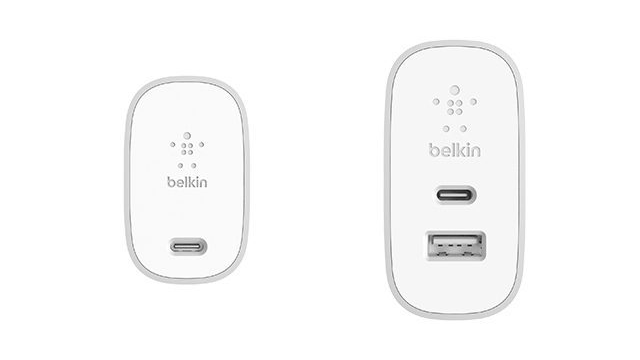 As of now, Belkin has released no pricing information for any of the products revealed.